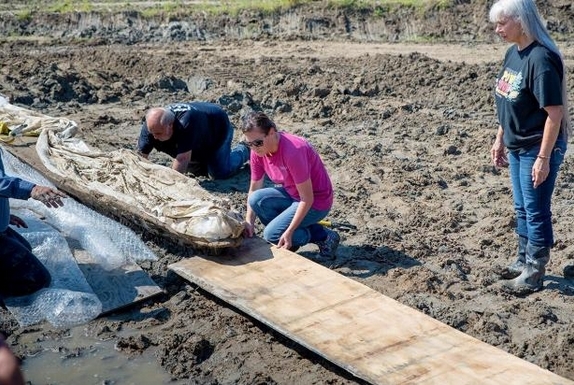 A long, long time ago, someone in southern Louisiana, or perhaps several people, cut down a cypress tree and made a boat. Well, not a “boat” per se, but a dugout canoe. It wasn’t an Acadian, ousted from their home in Nova Scotia, who fashioned it; nor was it a living member of the many Native Americans living in the swamps and bayous when the Cajuns arrived. But it was one of their ancestors. 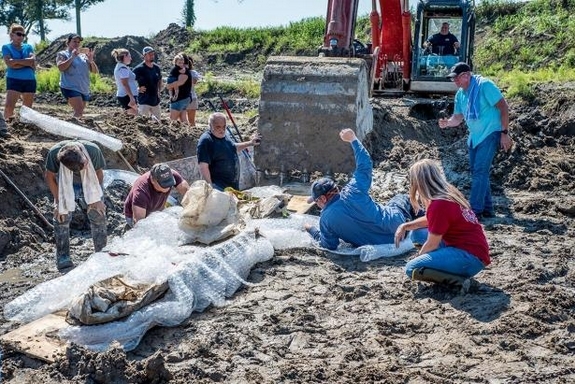 Just south of Donaldsonville, Louisiana in Belle River, Jamie Ponville owns a dirt-fill business that he excavates from a very large and deep site. 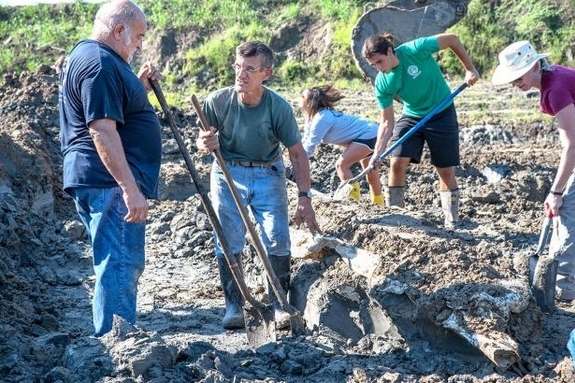 Last October, the excavator’s bucket struck something and Ponville knew what it was on sight. 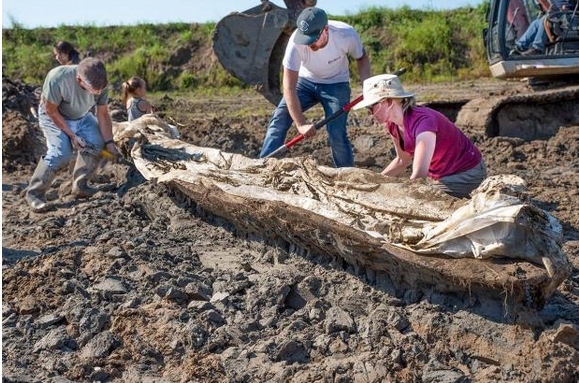 The 16-foot-long canoe has been carbon-dated at well over a thousand years old. 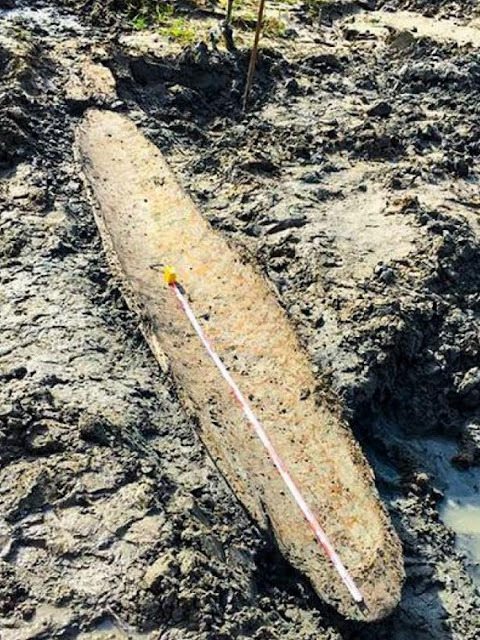 No one can know whose hands felled that tree or shaped and hollowed that log, likely used for fishing and visiting neighboring villages of the Chitimacha nation, who pre-contact occupied about a third of southern Louisiana. No one can know if it was grounded there, or washed away by a tide, or lost by its maker, or discarded when it was time to build another. The vessel Ponville discovered lay some 30-foot lower than the surrounding terrain. They are the only Louisiana tribe that still reside on a sliver of their ancestral lands and waters. “Chitimacha” is a Europeanized derivation of Siti imaxa, meaning “people of the many waters.” Upon that third of Louisiana they occupied pre-contact, most of it was water, and vessels such as the one Ponville discovered were abundant. Perhaps new discoveries await, in the ground, beneath the waters, that will one day show they were right all long. Responses to "The oldest Native American dugout canoe ever found in Louisiana"
was it the only thing found and is the dig still in process?